The Old Grind – peace. love. coffee. 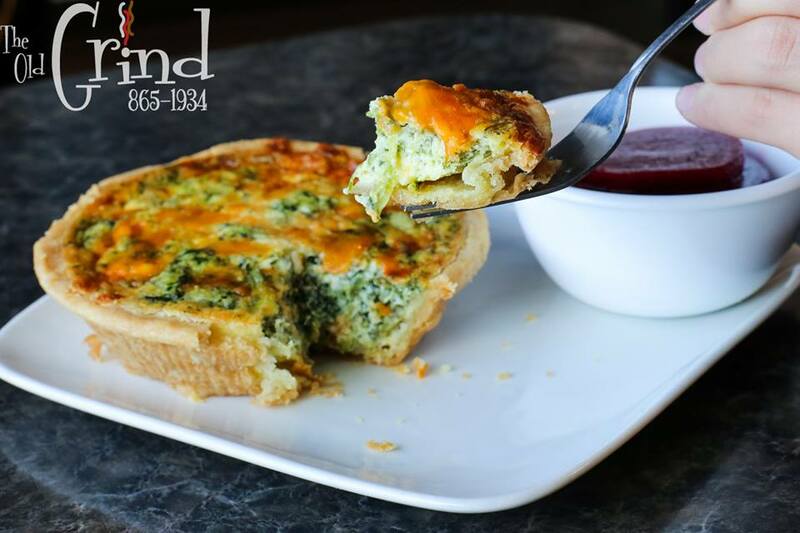 The Old Grind is a vibrant cafe in Hinton, Alberta. 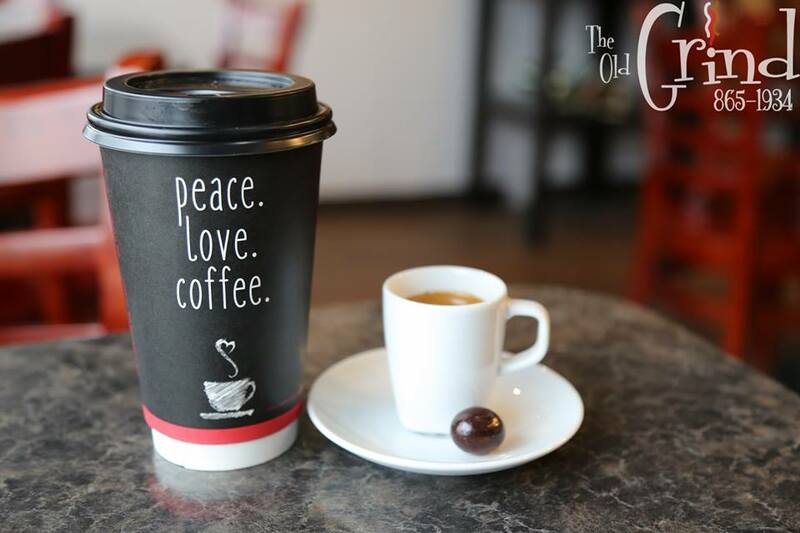 We offer locally roasted espresso based coffees and drinks, smoothies, and Italian sodas, paired with delicious home baked goods and nutritionally healthy light meals, soups, salads and sandwiches. Breakfast, gluten free, vegetarian, and takeout options are available. We're just off Highway 16, behind the Visitor Centre in Hinton, making our cozy cafe the perfect place to stop and refuel on your way to Jasper National Park. 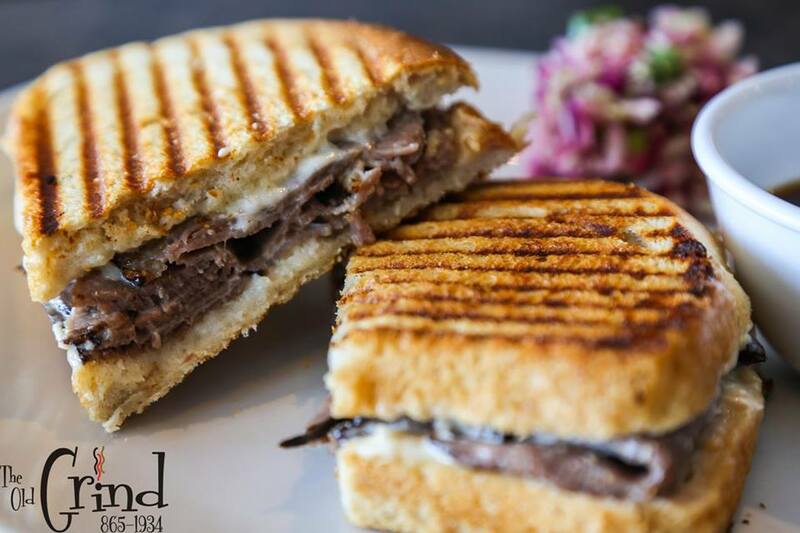 The Old Grind is a favourite local gathering place offering events, and live music, great food and drink, exceptional customer service, and an incredible assortment of local art available for sale. We hope to see you soon! Coffee shop, lunch stop and catering in Hinton, Alberta. Good coffee and delicious food brings us together. We have daily lunch specials, so please check this page often to see what salads, soups and sandwiches we're making today. 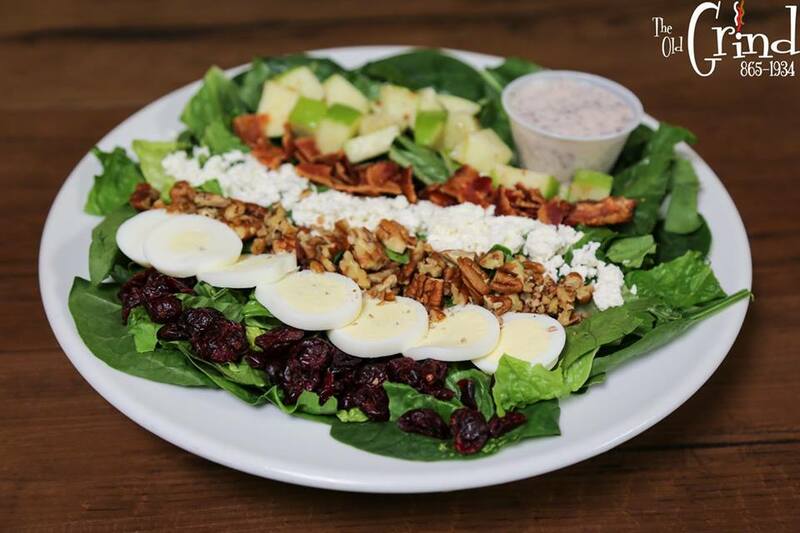 We are pleased to bring you fresh home baked goods, homemade soups, handcrafted sandwiches, salads and more. Check out our menu. We offer a variety of items for catering including our delicious soups and sandwiches, wraps, bunwiches, wraps, quiche, toutiere, and our specialty salads.